Thank you for taking action and urging Natural Fruit to immediately drop all charges against migrant rights activist Andy Hall. By standing up for a fellow anti-slavery activist, you are ensuring that more people will be empowered to speak out against injustice all around the world. As the trial date is fast approaching, will you take a moment and forward this email to 3 of your friends to ensure as many people as possible take action? Andy Hall could face 7 years in prison for doing something I do everyday — talking about modern slavery. Andy Hall is a British campaigner with a special focus on the rights of migrant workers. Two years ago, on behalf of Finnwatch, he undertook an investigation into Natural Fruit, part of NatGroup, a Thai company that processes pineapples and supplies retailers around the world. Finnwatch’s final report painted a picture suggesting modern slavery. Instead of addressing the allegations, Natural Fruit decided to try and silence Andy with lawsuits. Are you as outraged as I am? Join me and call for justice. This entry was posted in action, Human Rights and tagged Action, news, walk free on November 4, 2014 by kruitvat. prevented from attending, relatives and supporters of the prisoners were happy with the turnout. increase in beatings, degrading strip searches and other human rights violations. Last August, following talks with the British authorities, an agreement was reached to end strip searching before domestic and legal visits. However, over the last few weeks, around 15 prisoners have been holding their own protest after the agreement was unilaterally binned by the Stormont regime. 23-24 hour lock-up and many have been forced to begin a no wash protest. Runai ginearalta eirigi Breandan Mac Cionnaith added his party’s support for the protest. He said: “The situation in Maghaberry jail has reached crisis point. Sinn Fein’s Raymond McCartney called for the outstanding agreement between prisoners and the prison administration to be implemented in full “as a matter of urgency”. rights are to the fore of the prison regime,” he said. rescind his decision to summarily imprison Marian Price, secretary of the 32 County Sovereignty Committee. “The revoking of Marian Price’s licence is completely unacceptable. “The move by Owen Paterson amounts to detention without trial; this runs contrary to natural justice. The Justice system must be human rights based and the revoking of Marian Price’s licence is totally unacceptable. 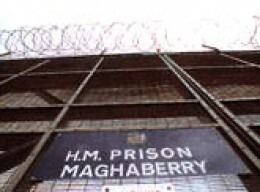 This entry was posted in Human Rights, Prisons, UK and tagged campaign, human rights, Ireland, Maghaberry, prisoners on June 8, 2011 by kruitvat. The UK government violates human rights, as we can see in the case of Brendan Lillis, the Irish prisoner who is detained in the British Maghaberry prison and risks to die. 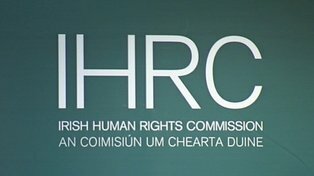 It is clear that the British Government lies about human rights…. Anyone who is in the UK for any reason has fundamental human rights which the government and public authorities are legally obliged to respect. These became law as part of the Human Rights Act 1998. Most rights have limits to ensure that they do not unfairly damage other people’s rights. However, certain rights – such as the right not to be tortured – can never be limited by a court or anybody else. Where you believe your rights have not been respected and you cannot resolve the problem outside court, you are entitled to bring a case before the appropriate court or tribunal in the UK. The court or tribunal will then consider your case. This entry was posted in Human Rights, Prisons, UK and tagged Brendan Lillis, British government, human rights, Maghaberry Prison, violation on June 7, 2011 by kruitvat.